In general, poorly fitting shoes especially chronic use of tight pointed high heels is practically the cause of the formation of a bunion thus making women more prone to develop bunions than men. On the other hand, people who are genetically predisposed to bunions will develop this condition regardless of what type of shoe they wear. This is the reason why we find bunion cases even among children. But wearing poorly fitting shoes will hasten the development of bunions in both cases. What is the best treatment for bunions? Like any other medical condition, prevention also works best for bunions. Always make sure that your shoes are a perfect fit. When fitting shoes, allow half an inch of space from the tip of your longest toes and the end of each shoe, your heel should fit snugly with minimal slipping. The toe box should have extra depth and width to allow the toes to stretch when standing or walking. Using perfectly fitting shoes can prevent bunions or prevent bunions from getting worse. Remember that a bunion is a progressive condition, there is nothing you can do from making it worse, but you can definitely slow it down. 1. Reduce weight. When we walk or run, our foot carries the whole weight of our body, not to mention the constant adjustment to keep us balanced. 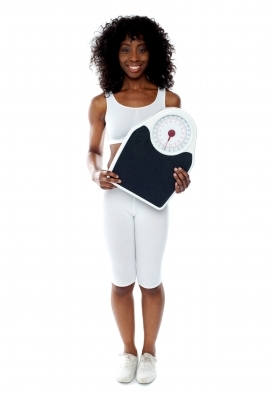 If you are overweight, losing a few pounds can drastically help reducing stress off your feet. 2. Walk barefoot. Walking barefoot stretches and strengthens all the structures of the foot. This can realign the bones and strengthening the muscles and tendons, reducing the advancement of a bunion. 3. Refrain from activities that can worsen bunions like ballet, football and soccer. 4. Foot exercises. Just like walking barefoot, foot exercises further increase muscle strength of the foot. Also, you can do exercises specifically for the toes. 5. Special shoe insert can be prescribed by a podiatrist to align the toes. This is best done on the early stages of the bunion. 6. Bunion surgery. If you are experiencing severe bunion pain, consider having surgery. Minimally invasive bunion surgery is the recommended technique for bunions. It provides very minimal pain and swelling, and very quick recovery times. Also, it keeps your feet looking beautiful because of the tiny incision (about 5mm) needed to get the job done.
. Minimally invasive bunion surgery is the preferred surgical procedure done by physicians today due to its excellent results, almost no pain and minimal swelling, fast recovery time, and patients being able to walk a few days after surgery.